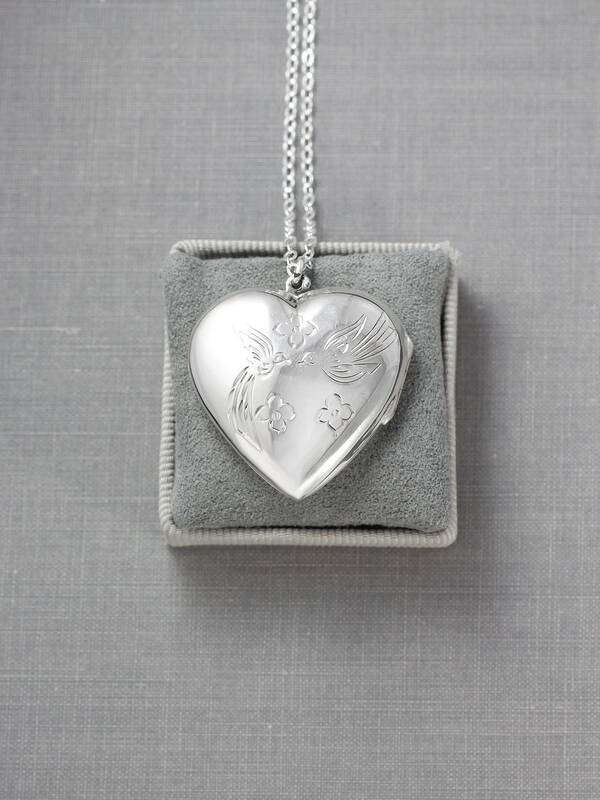 A beautiful, large sterling silver heart locket is engraved with two kissing sparrows surrounded by forget me not flowers. 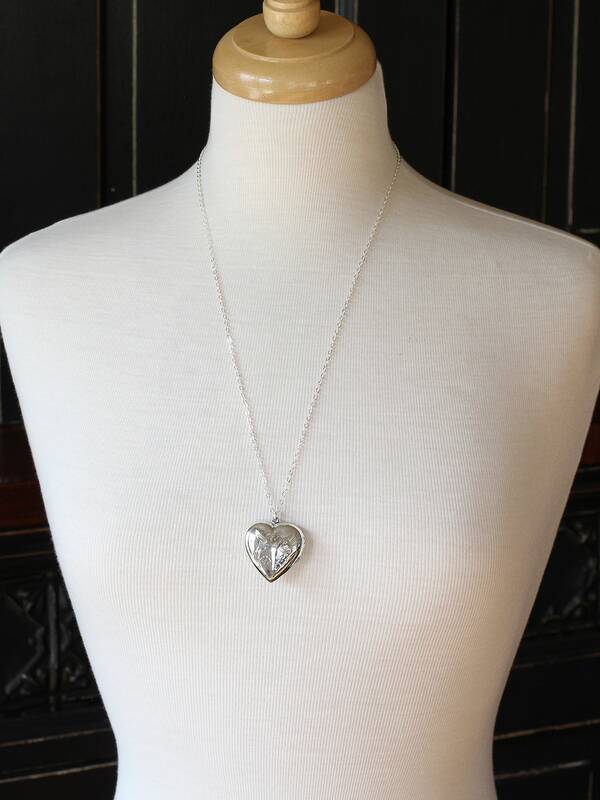 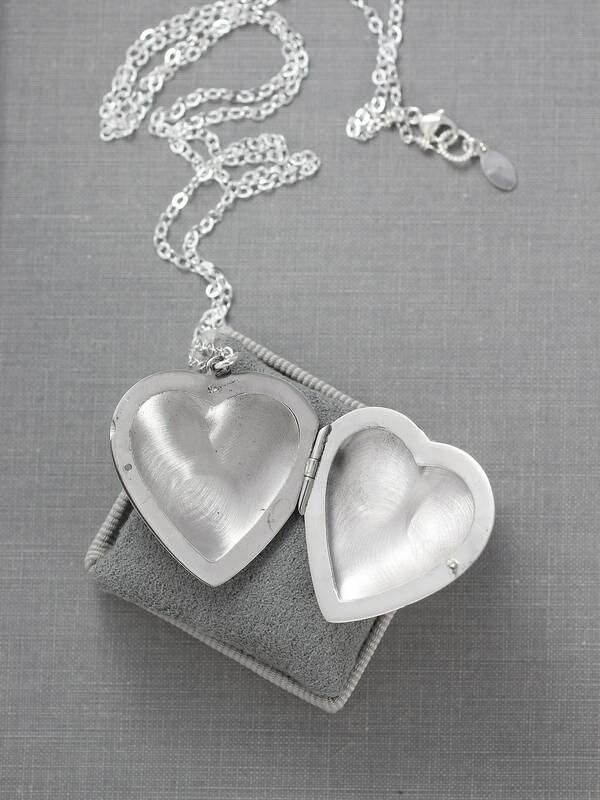 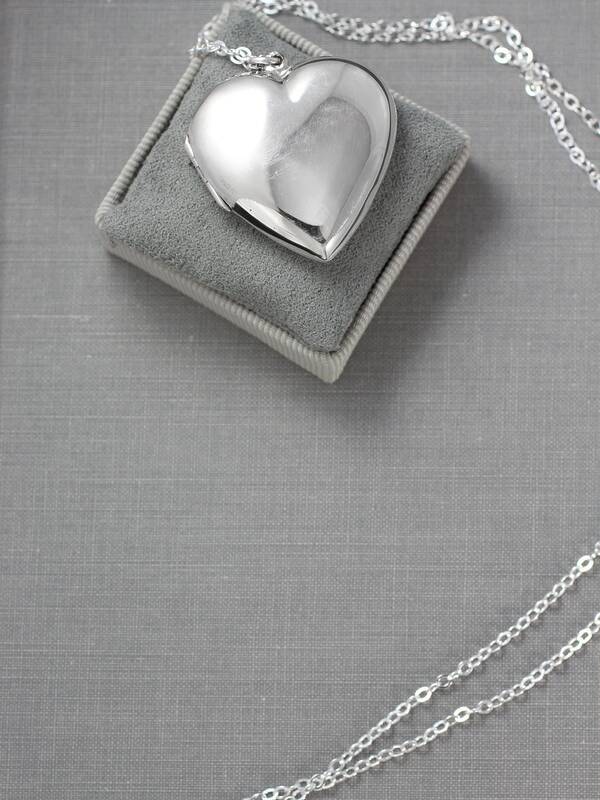 The heart shaped pendant opens to reveal two hidden places ready for beloved photographs to be slipped inside. 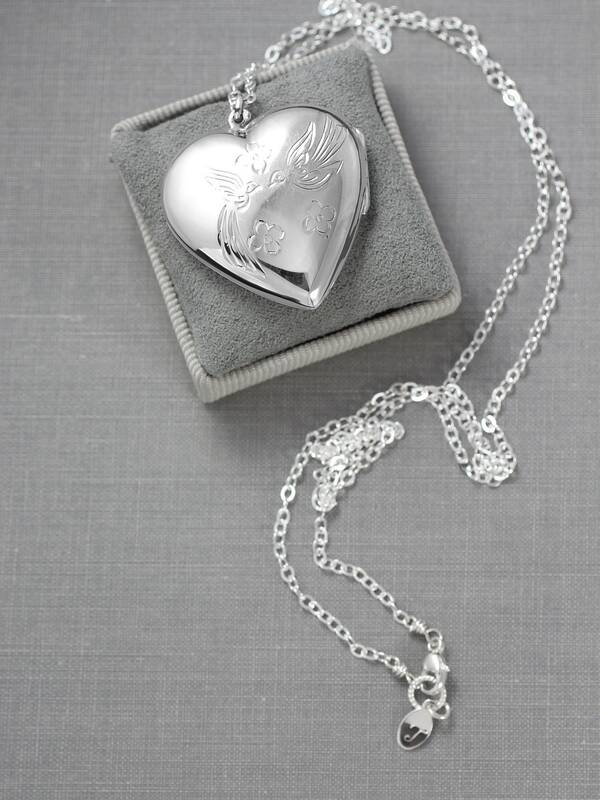 The locket dangles on a sterling silver chain hand finished with a trigger clasp and ring.